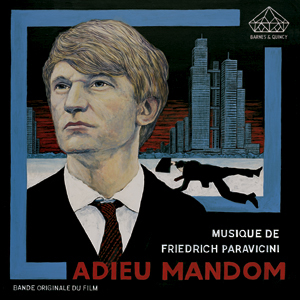 Friedrich Paravicini » Blog Archive » ADIEU MANDOM – out now!! ADIEU MANDOM – out now!! OUT NOW!! 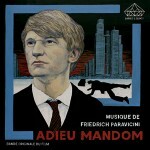 : Friedrich Paravicini´s new masterpiece “ADIEU MANDOM”! This time he sets out to invocate the sombre moods of 70s French cinema noir. Be prepared for lush and glamourous orchestral work, boldly contrasting with no-nonsense rhythm sections and the ultimate in melodic loneliness. A sure shot on CD , a special treat on 180g vinyl (both available at Barnes&Quincy), a true companion as a Bandcamp download!